During the summer of 2018, I interned at Facebook as a product designer. I had the opportunity to work with extremely talented people on a variety of interesting problems. 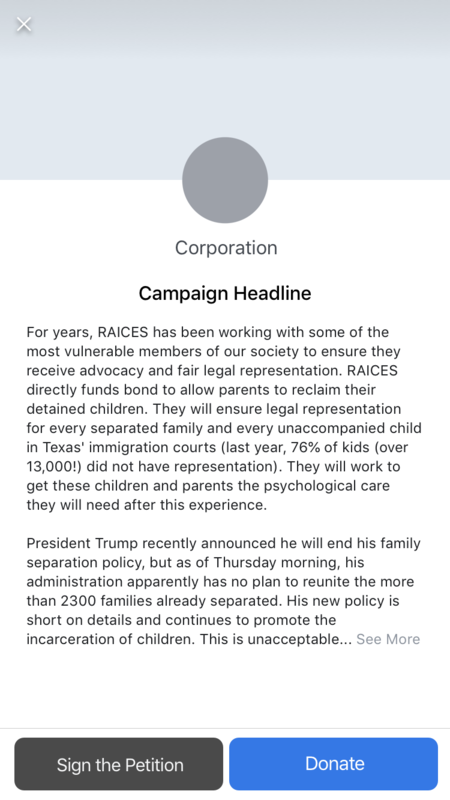 One problem that my group of interns worked on related to fundraising on the platform, which is what I will cover in this case study. The Facebook Fundraising product is used by millions of people every day. 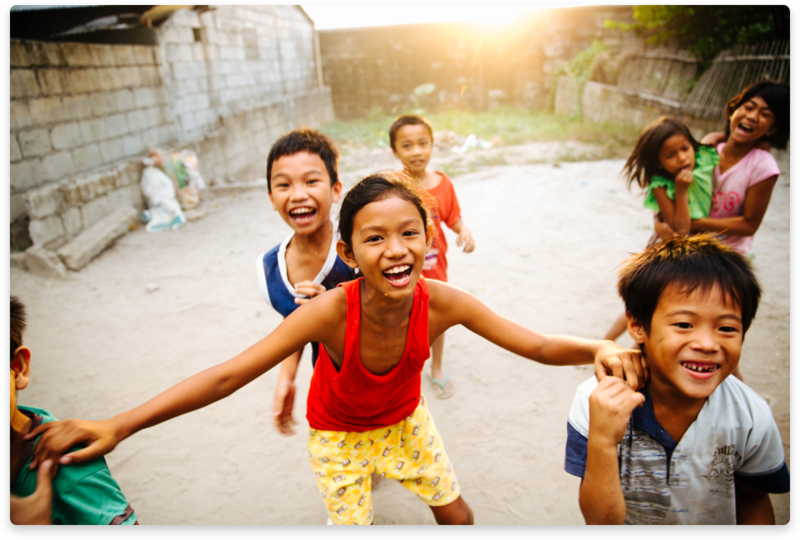 In the past, we’ve seen people raise money for medical procedures, clean water, and shelter. Safe to say it’s a product that has a lot of impact. One problem identified with the current fundraising product is that the only way to support a fundraiser is through financial means. It’s obvious that a financial donation can go a long way, but that’s only one of the many ways people can support a cause. Another helpful way would be donating time, or even just publicly showing support for a cause. A successful fundraising product makes impact accessible to everyone. Despite the financial situation of a person, they should be able to make a difference in the causes they support. My intern group thought of two solutions to this problem. 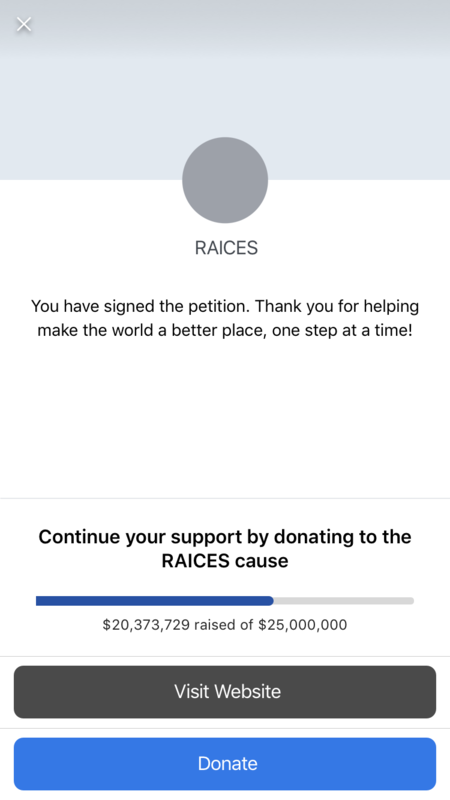 One, showing support of a cause by signing a petition and two, by publicly showing support on your profile to increase awareness around a cause. The explorations below show how we went about visually solving this problem.